Over the years, Graystone Church, the church where I serve as Lead Pastor, has been known as a sports church. One of the reasons for this is that I am a sports fanatic. I love watching and playing sports. I often joke that I am a professional athlete in the body of a pastor, which basically means that my God-given athletic ability is somewhat limited. I play sports for fun, competition and to stay in shape. I am a classic “weekend warrior”. And in many of my sermons, I will use sports illustrations. My kids also play sports. So, like many Gwinnett County families, we’ve spent hours and hours at the ballpark. When we first started Graystone Church, most of the people we met were from the sports community. So naturally, these are the people that we invited to come to our church. In the early years, we had a church full of coaches, players, cheerleaders and team moms. With a plethora of people from the sports community coming to our church, many of the ministries we started revolved around sports. We started Sports Camp in the summer for elementary age kids. We have Jersey Day in the fall where everyone wears their jersey to church, and the team with the most representatives wins a free pizza party. We even designed our building on Ozora Road to look like a ballpark, and our church campus has a football field, basketball courts, a baseball field and a batting cage. So, you can see how Graystone became known as a sports church. A few years ago, God began to do a major work in my heart. I found out that there are millions of orphans around the world, and they have a very special place in God’s heart. In fact, I never realized this before, but there are dozens of Bible verses that instruct us to care for orphans. It is the responsibility of the church, the people of God, to look after and care for orphans. 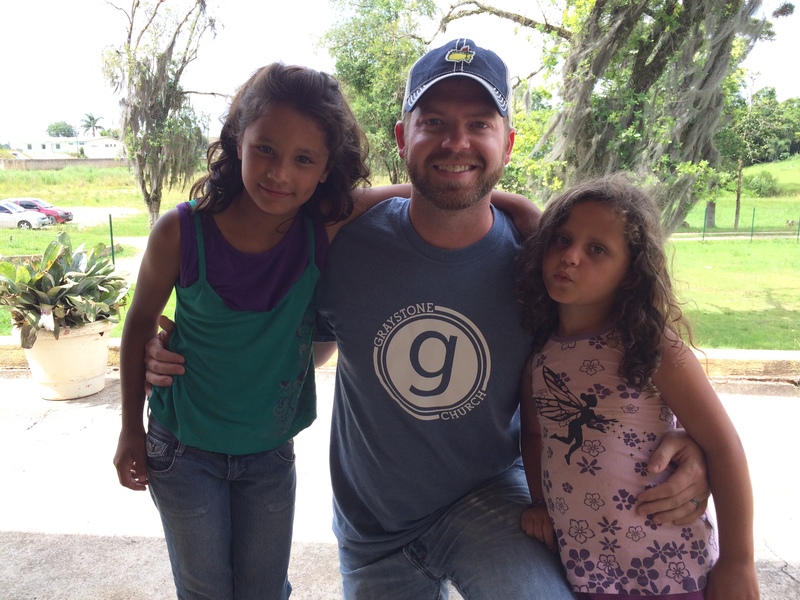 Through this new insight, God led me to lead Graystone to be a church that cares for orphans. Three years ago, I stood in front of Graystone Church and shared that our church had a reputation for being a sports church. I challenged our congregation to become a church that is known for caring for orphans. And our church has responded to the challenge. Several families in our church have adopted children, and other are in the adoption process. Church members have become foster parents. And we have several care teams that help meet the needs of foster care families in our community. We financially support orphan care ministries and missionaries both locally and globally. We sponsor over 100 orphans in Haiti and Brazil, and we serve them consistently through short-term mission trips. Orphan Care has become a major emphasis at Graystone Church. In fact, every Sunday we make a $5 donation to orphan care in honor of every first-time visitor. In 2014, we had over 2000 first-time visitors, so we gave these funds along with a large part of our missions budget to care for orphans. I don’t think Graystone has reached our goal of becoming a church known for caring for orphans, but we are well on our way. James 1:27 says, “Religion that God our Father accepts as pure and faultless is this: to look after orphans and widows in their distress and to keep oneself from being polluted by the world.” Are you doing your part to care for orphans? God may or may not be leading your to adopt a child or become a foster parent, but we all have a role to play. If you would like more information on how you can get involved in orphan care, please visit the following link on our website: www.graystonechurch.com/missions.